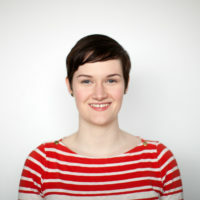 Using Our Superpowers For Good with Eryn O'Neil from Craft CMS on Vimeo. We usually think of technology as a tool, something as indifferent as a hammer or a ruler. But technology has become an intermediary in nearly every part of our lives, from electronic medical records to apps that remember which craft beers you’ve tasted. And in a world where algorithms decide when you should turn left or which version of the news you read, pretending our software is neutral is naive—or even dangerous.